New music comes out so frequently, it’s easy to forget to look back and appreciate the most noteworthy albums of our time. In an effort to memorialize the lyrical and rythmic genius of these artists, here are the most memorable albums of the 2010s. This is one of the most special and unique albums to be released in recent memory. Frank Ocean strategically blends melancholy, unobtrusive instrumentals to compliment his overpowering vocals and poetic lyrics. 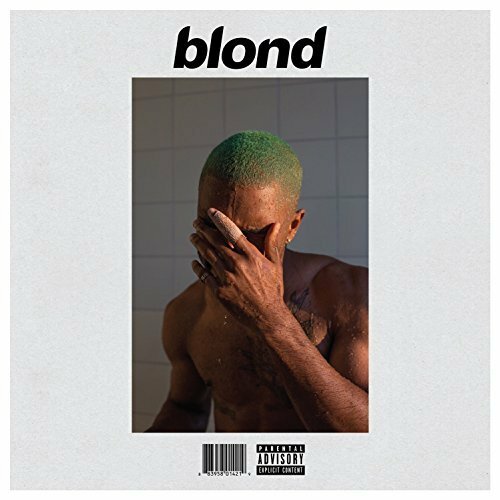 The album serves as a very transparent looking glass into who the ever-elusive Frank Ocean truly is. It is filled with intense thought and feeling, provoking thoughts centered around deep and passionate love, the value of loneliness, and a desire to reach new heights. Yeezus is the most vulnerable we’ve seen Kanye West on a record since 808s & Heartbreak. Yeezus is a dark, lewd and brash record, a complete 180 from its predecessor, the maximalist My Beautiful Dark Twisted Fantasy, which is widely held as Kanye’s perfect album. It is by no means the easiest album to listen to, but sonically, there has never been an album like it. The album is very minimalistic-sounding and screams the idea that less is more through its digitized sounds and lack of cohesion. West continually tells tales of his vulnerability, and his broken-down emotions have hardly ever been more on full display. Bon Iver’s Justin Vernon is most recognizable as a folk artist, but on the band’s third full-length album, he takes an unexpected and welcomed turn towards the experimental. However, many ideas of loneliness and emotions fleeting into darkness seen on For Emma, Forever Ago remain, ever-present on this album, even if many of his songs musical backings replace his soft strumming of the guitar with an avant-garde electronic sensation. Throughout, Vernon poses numerous existential questions, as heard at the album’s onset when he asks, “Where you gonna look for confirmation? / And if it’s ever gonna happen.” Listening to this album provides an unusual combined feeling of both joy and longing despair, making it one of the most memorable in recent memory. Currents should go down as the greatest rock album of the decade. The combination of psychedelic and pop sounds used by Tame Impala’s Kevin Parker is frighteningly Beatles-esque. This is a drastic change in direction for Parker in that this is the first Tame Impala album with hardly any indication of guitars aside from on the album’s hit “The Less I Know the Better.” The direct and concise lyrics convey a message of loneliness and despair in Parker’s voice that wonderfully compliments the intense yet exciting and beautiful psychedelic rock sounds on the album.